Towards the end of college, I used a Honeycomb tablet to take notes, type up papers, and manage presentations. Since then, Microsoft has brought a portable version of Office into the Play Store, and Google has released a set of dedicated Docs, Slides, and Sheets apps Standalone Google Docs And Sheets Apps Launched On iOS And Android Standalone Google Docs And Sheets Apps Launched On iOS And Android While users could edit documents and spreadsheets through Google Drive before, Google is now carving that functionality out and splitting it into two separate apps: Docs and Sheets. Read More . Old players such as Polaris Office and OfficeSuite are still alive and kicking, while QuickOffice has disappeared after being bought by Google. Quite frankly, the entire landscape has changed over the last couple of years, and it’s now very easy to get work done using Android devices. These are the top eight office suites for doing so. When Android first hit the scene, Google Docs had grown into a formidable office suite that, despite being trapped inside a web browser, was capable of handling the essentials most people need to get by. While the Android versions took a while to mature, that time has come. The current versions of Docs, Sheets, and Slides retain a good deal of the functionality found in the full web versions, and they can open various document types just fine. This makes them great for writing, making spreadsheets, and tossing together basic presentations that you can then open on any other computer with access to the web. 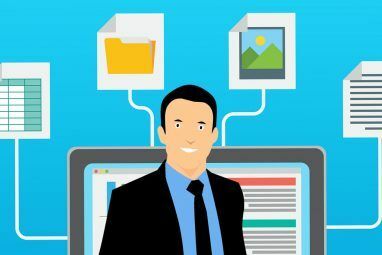 Since everything is automatically saved to Google Drive, one of the best cloud storage solutions for productivity OneDrive vs Google Drive - Which Is Best for Office Productivity? OneDrive vs Google Drive - Which Is Best for Office Productivity? As the push towards web apps has evolved, we're now met with two powerful cloud solutions -- SkyDrive and Google Drive. These two options offer all the tools needed for file synchronization and office productivity.... Read More , you never have to worry about losing a file. This accessibility, combined with superb collaboration features that work across platforms, remains Google Docs’ greatest strength. The suite is still of limited use when disconnected from the web, but depending on where you live, that’s less of an issue than it used to be. The mobile version of Microsoft Office has a big advantage over every other app Microsoft Office For Android vs. Google Docs: Which Is Better? Microsoft Office For Android vs. Google Docs: Which Is Better? Read More on this list: it’s Microsoft Office. This means that when using this app, you can expect compatibility with the most entrenched desktop office suite out there. All of the options presented here can open files saved in Microsoft’s formats, but this is the sanctioned way of going about it. The app can open files saved to OneDrive or SharePoint, and you can then open these same files using Office 365 on the web or on a desktop. The service can even sync your location in a document so that you resume reading right where you left off. The Android version of Microsoft Office is still very young, so its editing options pale in comparison to nearly everything else on this list. It makes for a good way to access your documents, but don’t turn to it as a primary means of getting work done. It doesn’t even install on tablets, which should tell you all you need to know. While you only need a free Microsoft account to turn to the app for home use, an Office 365 subscription is required to tap into it for business. Developer Mobile Systems puts a noticeable degree of effort into the OfficeSuite series. The version in the Play Store today looks strikingly different from the versions out just a couple of years ago. Now the suite utilizes a ribbon-style interface that should look familiar to anyone who has used a relatively recent version of Microsoft Office. OfficeSuite 8 comes in over 50 languages, supports a large number of formats, and can load files from a number of cloud storage providers. Having been around as an Android suite since before Google Docs made the transition, the app has made inroads with many hardware manufacturers and comes pre-installed on numerous devices. Since Google bought QuickOffice and discontinued the development of one of OfficeSuite’s main competitors, this offering has grown into the #1 option in the Play Store for people who just want a mobile version of a traditional office suite. OfficeSuite 8 is free to download, but you will need to go premium to get access to everything. A subscription goes for $1.99 a month or $9.99 a year, and it unlocks printing, removes ads, supports converting .doc files to PDF, and much more. Documents To Go has a long history, having appeared on Palm OS, Windows Mobile, Maemo, and BlackBerry OS before iOS and Android rose to the dominate the mobile scene. 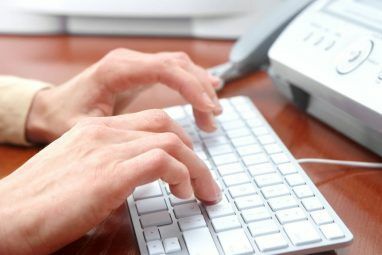 Some advanced word processing features have managed to creep in over that time, such as embedding graphics, managing footnotes and endnotes, creating tables, leaving comments, and setting up a table of contents. On the spreadsheet side of things, over 111 functions are supported. It also supports cloud storage accounts on Dropbox, Google Drive, OneDrive, and Box. Docs To Go, as the suite is now called, has received a visual overhaul over the years. Despite these touches, the app shows its age in some places. Having previously skipped across so many platforms, the UI doesn’t entirely look at home on Android. Several features are tucked away behind in-app purchases, such as accessing cloud storage and opening password-protected files. To save time, you can unlock everything and remove ads for $14.99. Like OfficeSuite, Polaris Office has found enough success to come pre-installed on some Android phones and tablets. The app’s layout has improved greatly over time, and it now looks right at home on modern Android devices. If you want something attractive that doesn’t look like a Microsoft product, Polaris might just be your cup of tea Polaris Office 5 Brings Spellcheck, Better Microsoft Office Support & iOS 7 Style Polaris Office 5 Brings Spellcheck, Better Microsoft Office Support & iOS 7 Style If you want to be productive on your iPhone or iPad, you need a good office suite. Could Polaris Office 5 make it to our list of the best iPhone apps? Read More . On the functionality side, you get local editing and support for various cloud services. You can even cast documents, spreadsheets, and presentations to a Chromecast Google Chromecast Review and Giveaway Google Chromecast Review and Giveaway We're giving away a Google Chromecast, so read through our review, then join the competition to win! Read More . This is one way to get up in front of a group of people without having to deal with VGA or HDMI ports 8 Creative Uses for Google's Chromecast 8 Creative Uses for Google's Chromecast We've come up with 8 unique uses for Google's Chromecast. Read on to find out just how you can make even more use of your Chromecast. Read More . These days, Polaris Office requires users to create an account upon first launch. The app deeply integrates with its own online service, making it somewhat competitive with cloud-based suites. You can get by pretty well with just a free account, but the premium version expands things for $3.99 a month or $39.99 a year. Unlike most of the other options here, Quip in no way tries to replicate the traditional desktop suite. Yet at the end of the day, it’s out to accomplish the same goal. Quip’s developers have sought to create something that looks and feels tailored to mobile devices Quip: A Collaborative, Mobile-First Word Processor For iOS & Web Quip: A Collaborative, Mobile-First Word Processor For iOS & Web While a tablet or smartphone certainly can't (presently) do everything our PCs can, there are certain tasks that may be better suited to your mobile devices, such as word processing. While typing thousands of words... Read More . Text is designed to adjust to different screen sizes, and collaboration is key. Comments are placed front and center, rather than tucked away like in other suites. Quip can handle documents and spreadsheets, but this isn’t the app to turn to for presentations. It can make to-do lists, only that’s a subject for another round-up. The entire experience straddles the line between the likes of Microsoft Office and Evernote, two different types of productivity tools born from different eras. There’s something to be said for taking inspiration from both. Quip is not a service to turn to if you need to manage formats created from other sources. This is a platform that only works if the person you’re interacting with happens to also use Quip. In that way, it’s better as an internal tool for a team than an all-in-one solution. That said, it’s free. 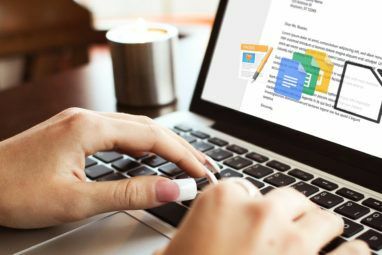 Zoho Docs is the office suite you turn to if you want the convenience of Google Docs or Office 365 but don’t want to trust your data with either tech giant. It’s not as pretty as either offering, but it can handle various document types just fine. The files you create here sync to a Zoho account, which you can access from any web browser. You can also share your documents with other people who use the service. Despite deep integration with the Zoho site, you can still download files to store them locally. Even if you don’t care to export them, you can still mark documents for offline use. The app and the website are both free to use, but you can get more advanced functionality by selecting a $5 or $8 monthly plan. WPS Office is the best fully-featured office suite you’re going to find on Android without having to spend any money. It has a modern interface that looks sleek from the moment you open the app, and once you’re editing a document, the Microsoft Office-inspired interface should feel right at home. Did I mention WPS Office is free? Well, it gets better. There aren’t any ads, nor are there any in-app purchases. As a real sign of how far Android has come, this list doesn’t even contain all of the currently available suites. There’s ThinkFree Mobile, an option that really places an emphasis on its appearance. OliveOffice is a suite that sits at the opposite end of the scale visually but strives for functionality. Before you go hunting around for more, start with one of the eight apps listed above. They don’t beat typing from a desktop, but some of them do a really good job of coming close. Getting work done using an Android device simply is no longer the painful task that it once was. Which of these office suites is your favorite? Do you use one on a regular basis that we didn’t mention? Let us know in the comments! Explore more about: Digital Document, Google Docs, Google Drive. The list is fairly well written, but two things stand out. One - WPS office is incorrectly described as not having adverts. Well, as of this date, 05 August 2016, it most certainly does have sponsored adverts. I know because I am using it, and they really annoy me. But, and this is a big issue, WPS seems to be the only program that allows you to create a file, for instance a .doc file, and password protect it. Docs To Go definitely does not, I e-mailed them to check. I have tried MS Word for Android, and that doesn't let you create a password protected file either. If you could download and install a paid-for, advert free, version of WPS it would be far and away the best of the Android office programs. WPS now features unwanted ads, which show up in your document list and cannot be removed. That's unfortunate. Thanks for letting everyone know. You are an internet based site mostly about solutions which use technology and often the internet. The internet moves at the speed of... the internet. You MUST add a "Last Updated" date to al your offerings otherwise there is no context. The site is a wonderful compendium of iinformation. However this is a key problem which does not plague lesser sites with less useful content. They *date* their articles and reviews. And consequently, I use them, even with their poorer information. We show the publication date for each MakeUseOf post directly under the byline. This one went up on November 5th, 2014. Hi...can u tell...w.p.s. office android app is compatible with chromecast? And can i miracast all my documents to my..t.v. ? Great work Bertel. I love your listing of tools which can help me to be more productive during work. Some of those I use myself. Btw I would another helpful tool. It's a free desktop search solution known as Lookeen Free. Only officesuite and docs to go allow saving files on a microsd card. And even those don't (yet?) use the new api in 5.0 lollipop, but in stead require root. I have been using Docs to Go for about 10 years on various platforms and it meets all my needs. There is no annual fee which is nice and works with all my Microsoft documents. 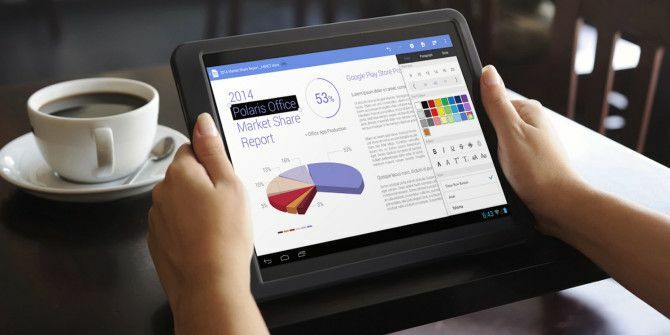 SoftMaker Office HD (or separately, TextMaker HD, PlanMaker HD, Presentations HD) is the only office suite for Android that comes with the complete set of features of the desktop version. It's compatibility with Microsoft formats is excellent. You should review this one, too. The new SoftMaker Office HD beats them all. It's the first complete Office, and includes all (I mean it: ALL) features of the desktop version. Means: forget about your heavy notebook! Now you can handle even the most complex tasks by your slim tablet on the go. Seamless compatibility with Microsoft Office formats. User interface just like on the PC, but perfectly adapted to touchscreen use. I love it! or get the three included apps separately on Play Store! Second the vote for QuickOffice - I grabbed it in between the time Google bought it out and made it free, and "discontinued" it. What about Hancom? It's pre-installed on the galaxy tab s and probably others. Seems pretty good, but has a gargantuan footprint. The Hancom on my galaxy tab s 10.5 is read only. I use SoftMaker office. It's very good at keeping the formatting. The interface may be dated but it works great. The HD (tablet) version will be out soon . You missed the suite by SoftMaker. It was already very good, but the new version, now in public beta, will soon be the best one in the bunch. I purchased my O365 through GoDaddy and it WILL NOT work on my Android phone. After running around in circles, they admitted to me that it in fact will not work on an Android phone, but that it is a Microsoft issue. So if your phone is Android, NO NOT purchase O365 through GoDaddy or you will be, as I am , very, very unhappy. I use was office. Used it back when it was called kingsoft office and continue to use it. It's just been easy to use and the updates have been great. OfficeSuite Pro just keeps getting better. I can open password protected PDFs. Unzip files (including password protected ZIPs). I just wish it supported WordPerfect formats for my 15 year old files. I still use Quick office even although it is discontinued. It came pre-installed on my moto g and it is simple and usefull.